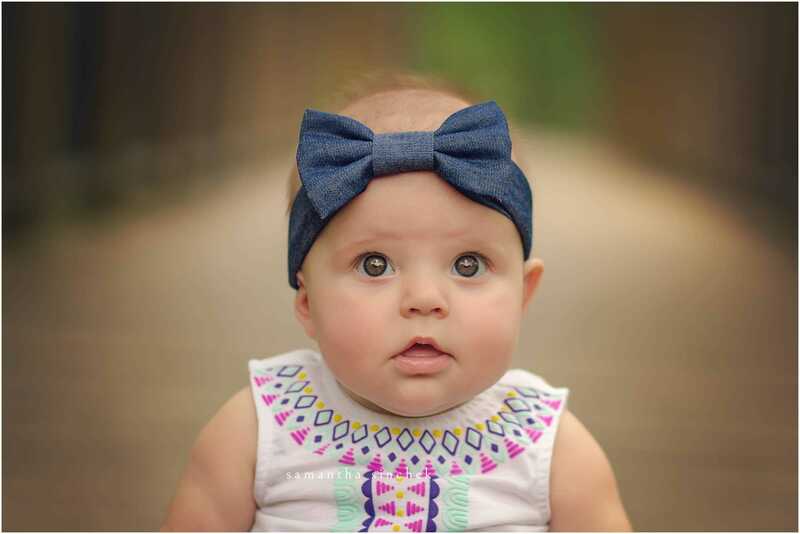 This beautiful girl had her newborn pictures done 6 months ago with me at my home studio. Her parents booked my first-year milestone package where we do newborn pictures, 6 months pictures and a 1-year session. This is a great way to capture your baby’s first year! We did Baby L’s pictures at Sharon Woods, on the north side of Cincinnati, Ohio. For a spring day, it got pretty warm at her photo session. I have to say that this pretty girl had the most adorably large eyes and cheeks of any baby that I have had a pleasure of photographing. She was such a doll in front of the camera, I don’t think I took one bad picture the whole session. I can’t wait to see how much she has changed at our next session together this winter. Here are some of my favorite pictures from our session together at Sharon Woods! Enjoy!